Nature has flipped the switch from 70F to 40F - which means it is high time for hot drinks! I do regret that mulled wine isn't an American winter staple, although Hot Toddies are a decent substitute. But if it's too early in the week or day for that, there's nothing more pleasing that a hot cup of cocoa. 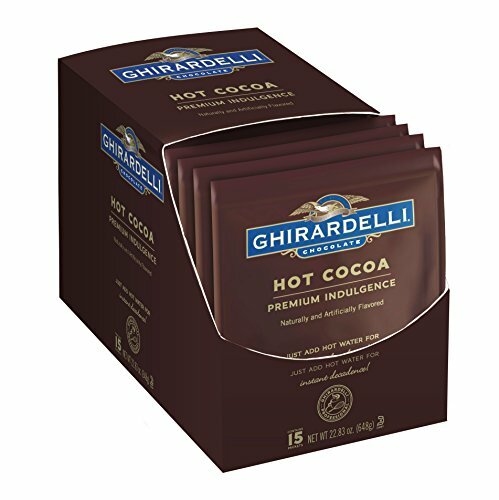 And if you're an east coaster who has discovered Ghiradelli Hot Cocoa, there really is no substitute. But the grand question of several years ago is, what happened to their distribution? Why did Stop & Shop stop carrying it? Did it not sell as well as Nesquik? Were the comparative margins of chocolate bars so much better that grocers changed their SKU strategy? I do grant that a package of hot cocoa takes up a lot more shelf space. Thankfully as with all even moderately niche products, e-commerce has filled the gap. And the everything store (a.k.a. Amazon) sells it in bulk. Thanks, Amazon, for filling my cup!